How To Build Muscle and Get Faster For GAA! Do you want to build muscle or do you want to get faster? These were always the two options given to me when I playing football and first joined a gym over 15 years ago. For years, I thought you had to pick between the two. To get faster, you need to do mostly strength and conditioning work – direct glute activation exercises, keep your kinetic chain loose, improve the biomechanics of your run, prioritising explosiveness in your training and so on. To build more muscle then, you need to lift in hypertrophy parameters, 8-10 reps, 3-4 sets, 60-90 seconds rest, focus on compound movements, work for time under tension and then repair back with plenty of protein and amino acids. But what if you wanted to do both? I spoke in my book Leaner Stronger Faster about my frustrations with underage coaches in my teenage years. My S+C coaches would give me great training programs to make me faster and stronger (Olympic lifts, single leg squats, 1 rep maxes etc.) but would call me a ‘poser’ any time I asked about exercises for building my arms or getting a six pack. They looked at me like I had two heads when I asked them about nutrition! Contrarily, the bodybuilding coaches I used were quite the reverse. They focused heavily on the nutrition element and used minimum effective dose (MED) time under tension style training to help me build and shape my body. However, the problem was that I was still playing football and the movement patterns I was doing were primarily for adding quality muscle, a mixture of compound lifts and isolation exercises in hypertrophy parameters (mentioned above) that consisted of one plane of motion i.e. up and down. There were no multi dimensional or functional movements. 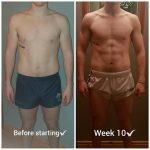 The goal was to build muscle so that’s what they optimised for. If I asked them about ‘function’ or getting faster for football, their honest answer was ‘I’ve no idea how to do that’. One of my main goals when I qualified as a strength and conditioning coach all those years ago was to find a way to merge these two worlds. I’m the first to admit that if performance is your only goal and you don’t care about body composition (how you look), then a Olympic lifting/1 rep max testing protocol is the best way to that. That type of program is going to allow your body to generate more power and directly impact your speed on the pitch. However, if you’re like how I was and want to get faster, but also improve your body composition, then read on. This comes down to the combination of the right training program with maximising your nutrition protocol. 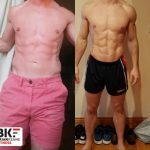 I spoke in last weeks blog ‘carb cycling 101’ and followed it up with a bonus podcast on my GAA Lean Body podcast. and go through my favourite nutritional strategy for building muscle, fuelling for games and getting or keeping body fat low in the process. 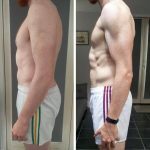 Although carb cycling is great and carbohydrates are probably the single most important macro nutrient for a GAA (fats and protein being the other two), protein is actually the building blocks of muscle so I’m going to talk about it here in relation to buildilgn muscle. When you train, either in the gym or on the pitch, you tear muscle fibres. In order to repair (so you can perform at 100% again or build lean muscle tissue), you need to consume amino acids, which come on the form of protein. A simple mathematic equation to remember is torn muscle fibres + amino acids = muscle repair or muscle growth. The timing of your protein is normally down to your particular training schedule. I normally have players in my GAA Lean Body Program keep their protein pretty consistent throughout the day whilst the forms change based around their training schedule that day. For example, slow digesting protein like chicken, turkey, beef or fish during the day and fast absorbing protein like whey protein directly after training. The amount of protein varies greatly from person to person too. A 65kg corner forward looking to add muscle is going to need significantly less protein than someone who is 100kg and plays midfield. The general protein recommendation for an athlete is 1-1.5g of protein for every pound of body weight. So a 200lb player will eat around 200g of protein. Again this varies greatly based on the training program you’re following and your specific goals but it gives you an idea of protein intake. 200g of protein isn’t actually that much, especially if you eat meat, fish or eggs. A 200g breast of chicken can give you anywhere between 45g and 60g of protein so you can see how easily it is to hit this number. If you’re unsure about calculation, a good general rule is to have some protein in each of your main meals. Again, foods like nuts and seeds will have decent levels of protein as well but animal and fish tend to serve as better choices because they contain all the ‘essential amino acids’ your body needs; essential meaning you need to get them from food or supplements as your body cant make it by itself. These are normally referred to as ‘complete protein’. There are loads of other options but here are some of my personal favourites. Again some sources will have a lot of fat too- pork, lamb and beef are much fattier choices than chicken, turkey or fish, so base your protein choices around your metabolism, personal preferences and goals. If you struggle to lose body fat, try and get your sources from lower fat options. If you have a very fast metabolism and struggle to put on size, consider the higher fat alternatives. True there are so many moving parts when it comes to getting faster and if pure performance is your only goal, then its worth considering a S+C coach to design an entire Olympic lift program which also has elements of fixing an biomechanical imbalances in your run. However, I’m going to come from the ‘low hanging fruit’ angle, i.e. the easiest things that you can implement straight away or pitfalls to avoid that will most positively impact your speed as you build more muscle. Prioritise glute work in the gym: getting your glutes to activate and ‘fire’ is one of the keys for taking off quicker. Building a program around explosive movements that focus on glutes is something that you can add directly to your next workout. Here a couple of my favourites below. Keep loose: Another low hanging fruit is to stay on top of your recovery. If you get too tight, not only will you increase your risk of injury, but your performance and speed can also be negatively affected. If you have a long history of injuries or long recurrent injury, its always worth seeing your physio and designing a specific recovery strategy program based around your indidvual needs . Do MED on hypotrophy: In my GAA Lean Body Program, I like to do hypotrophy (sometimes mixed with explosiveness) at the start of a workout, add strength and considering elements in the middle of a session and then some form of high intensity metabolic conditioning or recovery (based on each person needs) at the end. The truth is that you can have it all. You can build muscle and you can get faster at the same time. You just have to make sure that your entire training program and nutritional plan is working backwards from that. 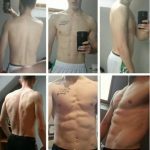 They say your mess becomes your message and I made all the mistakes myself in trying to merge the two; but after 18 years of training myself and having worked with thousands of athletes over the years, I’ve finally found the secret – map your actions (training and food) to your ambition (muscle and speed). 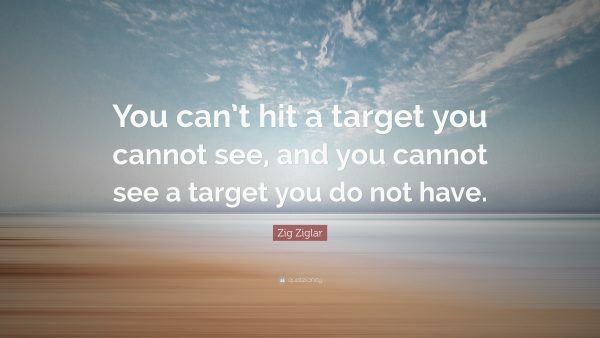 The key is knowing what your target is and aiming everything towards that. If you want to be bigger, stronger and faster – then you build your program around that and map your actions to that ambition. If you want to faster and don’t care about how you look or you want to get bigger but don’t care about your performance, then you just map your actions to that. The goal of this blog post is to show you that you don’t have to make the decision between one or the other. 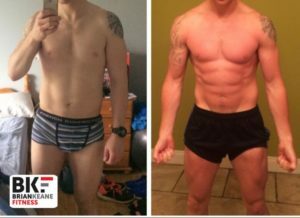 My next GAA Lean Body Program starts on March 4th. You can sign up and start straight away (but the tracking and Facebook group with me doesn’t start until the 4th of March) – However it is limited to 50 people so when it hits 50 people, the link closes. with GAA Lean Body Program as the email title.